Is time flying by for you? Before we know it, it will be Thanksgiving with the holidays right behind it. 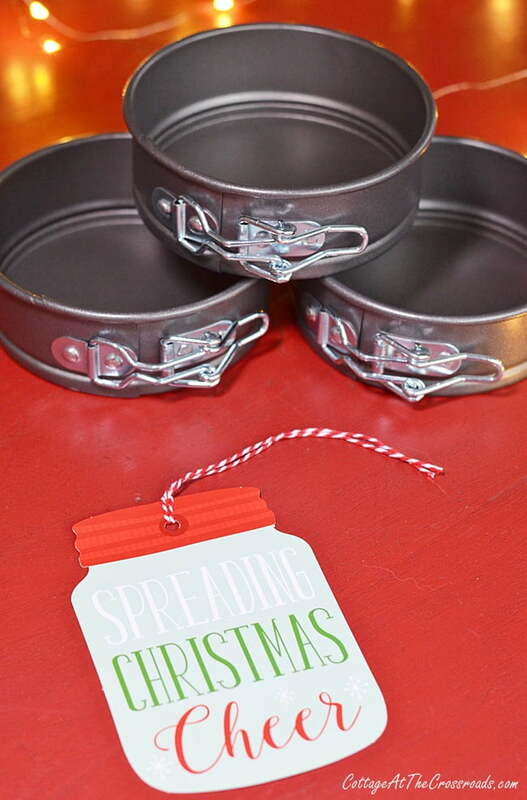 Today I’m sharing a great gift idea that’s under $10 that will take care of anyone on your list who likes to bake. 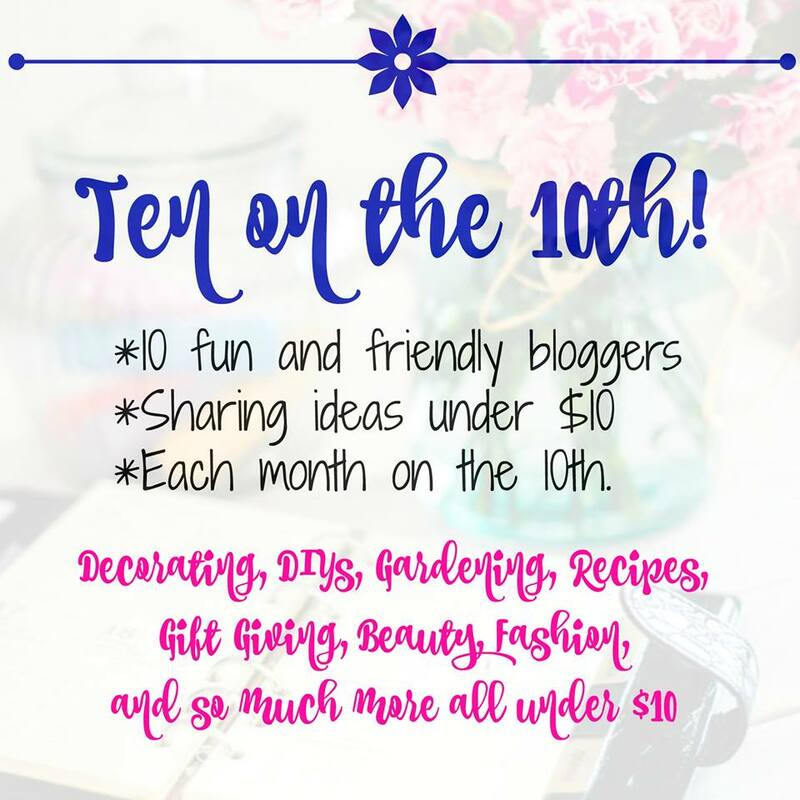 Today some of my blogging friends and I are sharing gift ideas under $10. I recently stumbled across these cute mini springform pans in my local Walmart. They caught my eye because they are the smallest springform pans I’ve ever seen. They have a diameter of 4 1/2 inches which makes them great for individual size desserts or cheesecake for two. Each pan cost only $3.77 which is a really good price for mini springform pans. The brand is Mainstays which is a Walmart brand. I didn’t find these in the kitchen area of the store. They were located on the seasonal aisle in the grocery section along with other seasonal baking ingredients and candy. 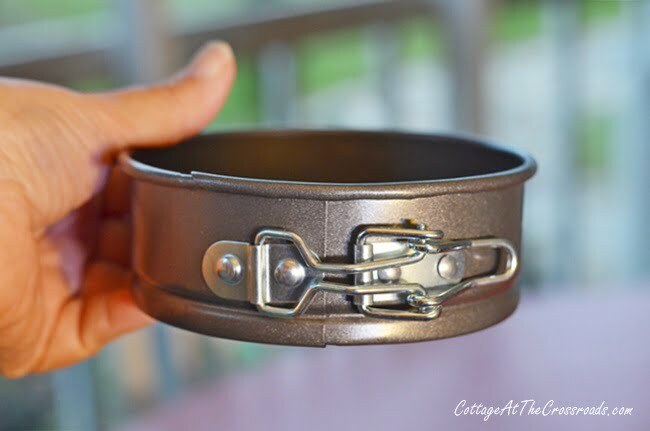 A springform pan comes in two parts, a base and a collar, which are held together with a clamp. 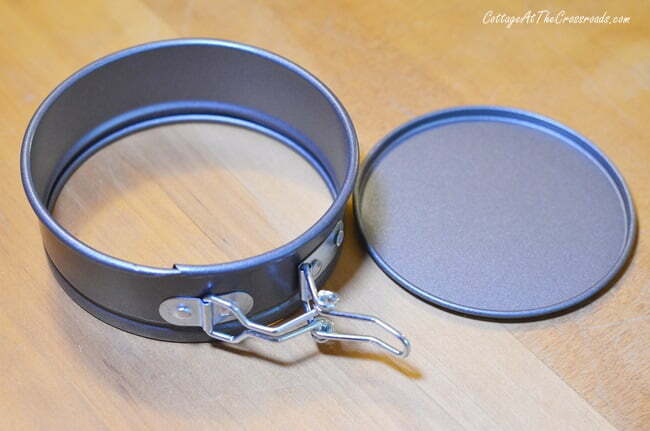 After baking, you unclip the collar from the base to easily remove the item from the pan. Now the most important feature of a springform pan is that it doesn’t leak. Right now I have 4 mini cheesecakes baking in the oven to test these babies. 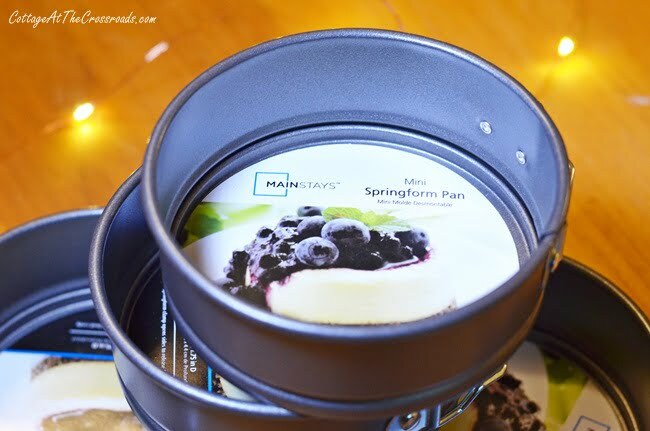 These mini springform pans are the perfect size to make cheesecakes for two. I’m thinking that it would be great to make a batch to freeze for later. 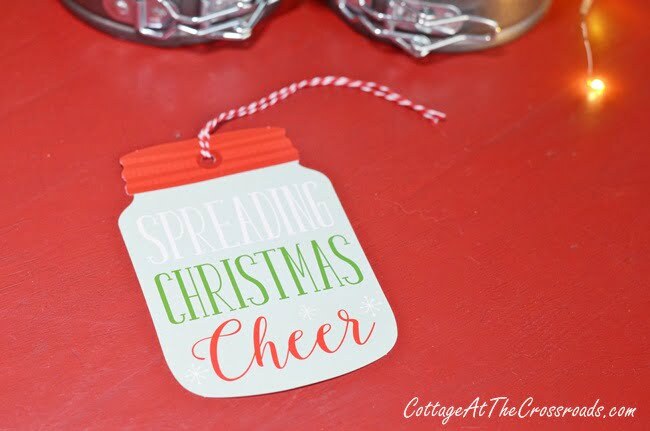 While I am sharing, I wanted to show you these cute recipe gift tags that I found at my local Dollar General store. I’m working on a cheesecake recipe for these mini springform pans, and once I get it perfected, I’ll post about it. Just imagine how much Christmas Cheer you could spread if you gifted someone with 2 of these pans with cheesecakes baked inside with the recipe on the back of the gift tag!!! 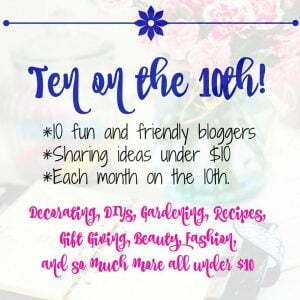 It’s the tenth of the month and that means that 10 of us bloggers are sharing our favorite ideas under $10. 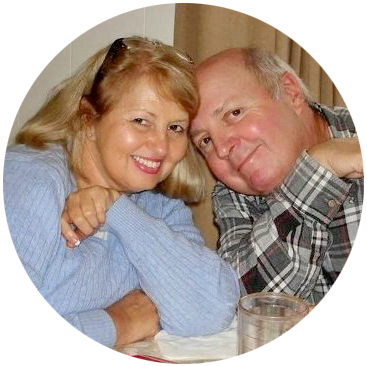 Click on any of the links below to see more thrifty gift ideas from my blogging friends. These are wonderful and delicious gifts. So clever. Jane, these are the sweetest! I have recently become quite enamored with all these tiny…and who can resist cheesecake. The perfect gift in my book. Thanks for sharing! Now this is an idea I think I can get done. Hope our WM has them. I would like chocolate in mine, so I’ll be looking for the perfect recipe. I always look forward to seeing your posts, Jane. Love this idea! The tags are adorable and mini cheesecakes are a great way to enjoy a delicious treat with a safety net 🙂 Back to Walmart…. Who wouldn’t love to receive cute little cheesecake gifts! Great idea Jane! Love the pans . Great size. How cute are those! Every Christmas we try a new dessert that we haven’t had before. Thats getting harder to do every year!! These will be perfect for an individual serving. Now I just have to find the perfect dessert. Thanks so much for sharing! Jane, what a timely post! I just had cheesecake at a friend’s house last night and it was the best I had ever eaten. She gave two tips that might help you if you do not already know: the ingredients need to be at room temp. and when you blend/whip/ mix, you should mix an extra long time. 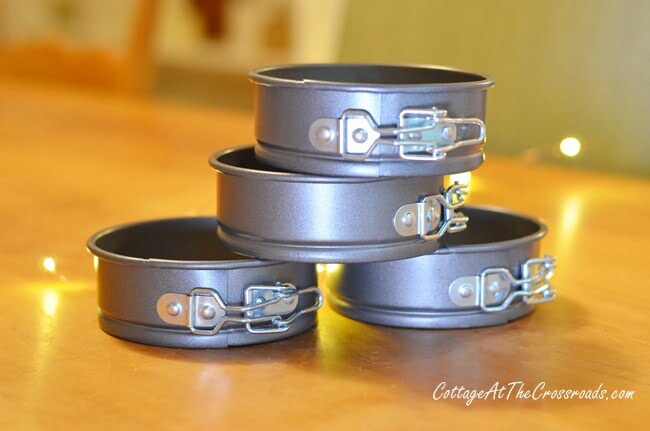 These pans would be perfect for the instant pot, too! I have a 7 inch one and it was a little hard to find. It would be cool to make a couple of small ones in the instant pot with the pans you are recommending.